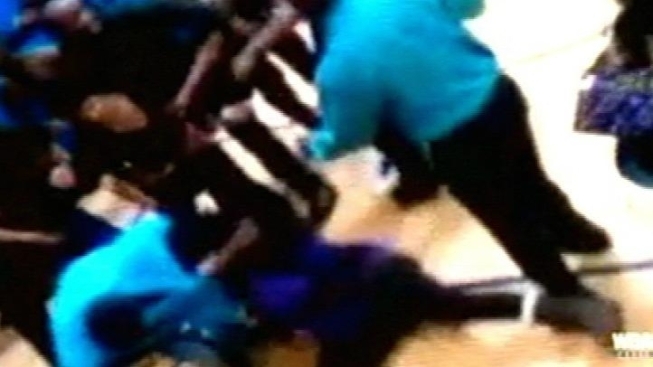 Police are still investigating a huge brawl that broke out at a high school basketball game between students from D.C. and Baltimore students. The video above captured the incident, which took place Wednesday night in West Baltimore. It happened during a game between Cardozo Senior High School and a charter school in Baltimore. Witnesses say players -- and even fans -- exchanged blows. There is no word on any arrests or injuries.